As a young teacher, Di’s first introduction to Guthrie-Smith was taking her class of Year 6 students on their yearly outdoor education programme at the Guthrie-Smith Education Centre. This whet her appetite for future outdoor education in schools. 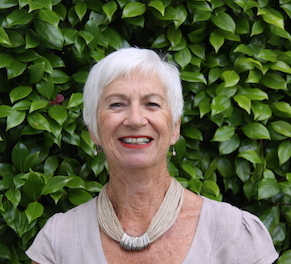 For around 10 years Di was a Trustee of ECOED, where she assisted in establishing an outdoor education base for Hawke’s Bay schools. As the Deputy Principal of a large intermediate school, Di was also involved in the administration, organisation, and execution of a programme utilising the ECOED base at Opouahi for the whole school, made up of young adolescent students and their teachers.